About Helena L. Message Helena L.
Helena was a great guide in Busan. She started out by giving me an itinerary of the tour using a map as she pointed out each location we were going to see. Helena was able to take me to each site that I wanted to see. Thanks to her, I got the most out of a one day tour of Busan. Helena is very nice to talk with and she is very polite. I highly recommend her for your touring needs in South Korea! Thank you so much Helena! TOUR GUIDE RESPONSE: Thank you, Luis. I also had great time with you. I hope to see you again. Many blessings to you!! Helena was a wonderful guide. 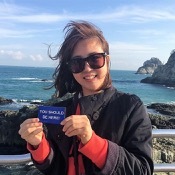 We would recommend her to any first time visitor to Busan. We followed her itinerary and were not disappointed. She answered all of our questions and shared information about local customs. 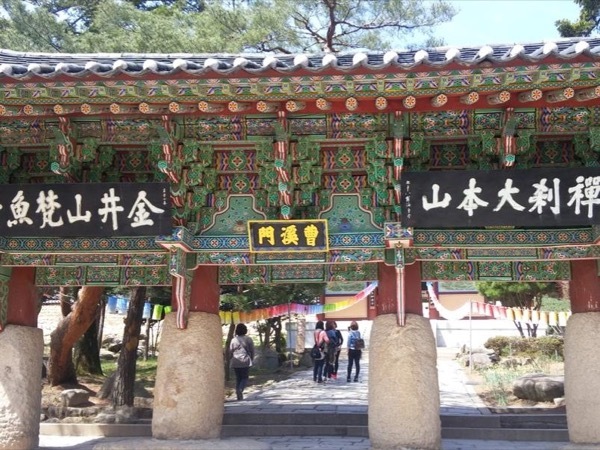 Our tour included a visit to the Haedong Yonggungsa Temple, a beautiful temple set on the seaside. The visit to the fish market was a real treat. For lunch, we were treated to barbecue at a traditional Korean restaurant. Overall, we experienced a lovely day with Helena. TOUR GUIDE RESPONSE: Thank you for your nice review. I also had wonderful experience with you. I hope you visit Busan and see you again. TOUR GUIDE RESPONSE: Thank you for your nice review. I also enjoyed the tour with your group. TOUR GUIDE RESPONSE: Thank you for your excellent rating. I hope you have good memories of Busan tour. Helena could not have been more accommodating to us. She made sure that we truly experienced her tour and her country. She was timely and kept us up-to-date with any information changes or communications. TOUR GUIDE RESPONSE: Thank you for tour nice review. I hope you visit again Busan. Keep in touch with you. Helena is a very excellent guide. She asked a few questions when we first met and off we went will just the right tour for our group. Her car was just right for the 4 of us and very clean. She as a good sense of humor and very informative. We will use her again when we come back to Korea! TOUR GUIDE RESPONSE: Thank you. See you soon in Busan!! Helena was amazing—thorough, knowledgeable, considerate, and a delight to be with! We are very glad we took her tour. TOUR GUIDE RESPONSE: Thank you for your comments. I hope you enjoy your trip and visit again Busan! Helena L was wonderful and a joy to spend the day with. Her English was excellent which helped make the days activities more enjoyable. She made my visit to Busan a memorable experience. TOUR GUIDE RESPONSE: Thank you for your nice comment. I am very happy with you. You gave me good memory, too. Have a nice trip!! Helena L.